Editor’s Note: The following is from Bill’s book, Some Assembly Required: A Daddy’s Christmas Book published in 2009. The grandparents featured in the column have all now passed away, but will be fondly remembered by Bill and Claudia Haltom and the Haltom children this Christmas. Each year on Christmas Day, my wife proves once again that she is the undisputed co-heavyweight champion of the culinary world. She does this by preparing a fabulous Christmas dinner. Turkey and dressing, cranberry sauce, corn pudding, green beans, and sweet potatoes. And, for dessert, coconut cake and boiled custard. It is an awesome Christmas culinary Tour de Force! As Daddy, I sit at the head of the dining room table at Christmas dinner. From my throne, I have three jobs. First, I say Grace. Second, I carve the turkey. And, third, I moderate the discussion around the dinner table. My wife and I are born-again Baptist-Methodist-Whiskeypalians. And my children are, not surprisingly, as outspoken as their parents and grandparents. Consequently, discussions during Christmas dinner can sometimes resemble an episode of “The McLaughlin Group.” For example, Christmas dinner 1998 was almost spoiled by a fierce debate on whether Bill Clinton should be impeached. My job is to steer the Christmas dinner conversation away from politics and religion, because, as we all know, a fierce debate over politics or religion can absolutely destroy even the best piece of coconut cake. And so, after saying Grace, as I start carving the turkey, I always announce a topic for our Christmas dinner discussion. My daughter, the Princess, remembered a Christmas Eve when Santa’s sleigh crashed into the side of the house around midnight, waking everyone up. There are some folks who believe that actually I was the one who drove into the side of the house, and that it was in a minivan, not a sleigh. But there is no way that happened. Santa Claus crashed into the side of the house. That’s my story and I’m sticking with it. My wife remembered the Christmas Santa brought her a diamond solitaire ring, and I recalled that at that same Christmas, Santa brought me a wife. But the most memorable Christmas memories shared that day around the dinner table came from my father and my father-in-law. 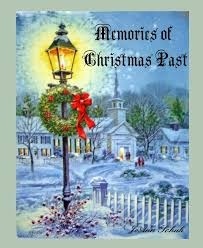 My father recalled a Christmas morning back during the depression when he was just a little boy growing up in the mill town of Bemis, Tennessee. His father (my grandfather) was blessed to have a job at the mill. Even so, money was really tight, and there was some doubt whether Santa would come, and if so, what he would be able to bring. When my Dad recounted this story, his three grandchildren began to laugh. But then they quickly stopped. They realized their grandfather was very serious. Then my father-in-law specifically recalled one Christmas card he received that year. It was postmarked “Knoxville, Tenn.,”) and it came from the University of Tennessee. My father-in-law had been a student there when his studies were interrupted by the Second World War. A year later, my father-in-law had his homecoming back to Tennessee and his university. He also had a wonderful Christmas present waiting for him. It was the GI Bill, and it paid his tuition to law school. A Christmas with oranges … A lonely Christmas far away from home in the midst of a world at war. And as I listened to the stories, I realized how blessed we are to share these memories of Christmases past and to experience the story of Christmas present. custom essay: I notify your post really I am impressed from this post. I was searching for some info to this website , You write very well which is awesome. I enjoyed every bit of your article post. Thanks. writemypaper4me reliable: People want to make their Christmas day memorable. People want to spend happy time with their family. They can make tasty dishes and can enjoy tasty meal with family. People like to wear beautiful dresses on Christmas day and look beautiful. Nick McCall: Thinking about your father-in-law's Christmas of 1944 in the Pacific, Bill: my dad and his Marine buddies spent theirs at Pearl Harbor--having just left Guam a few days before--and he was heading home for his first visit home to Franklin, Tennessee after he left it for Parris island on December 31, 1941. His troopship sailed in to San Francisco harbor late night on December 31, 1944, just in time to ring in the New Year on American soil. And, like Claudia's dad, by the very next Christmas, my dad was a proud Vol. What they and their peers had just lived through! Season's greetings to you and all of yours; blessings for health, wisdom, prosperity, justice and peace in the New Year.